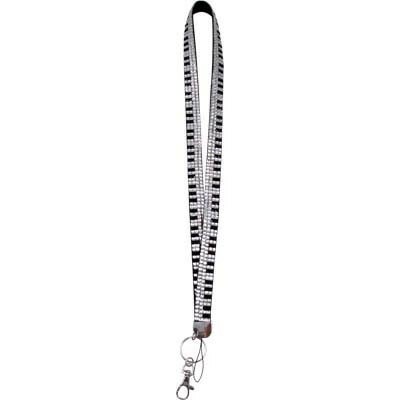 Piano Keys Crystal Lanyard – Bring a little personal style to your keys or ID badge with the Piano Keys Crystal Lanyard! This unique lanyard features both a metal keyring and a secure lobster claw strap that would be perfect for a wallet. With sparkling crystals delicately placed in the design of piano keys, this lanyard would be an awesome gift for a pianist. Unique Music Gifts for Piano Players!